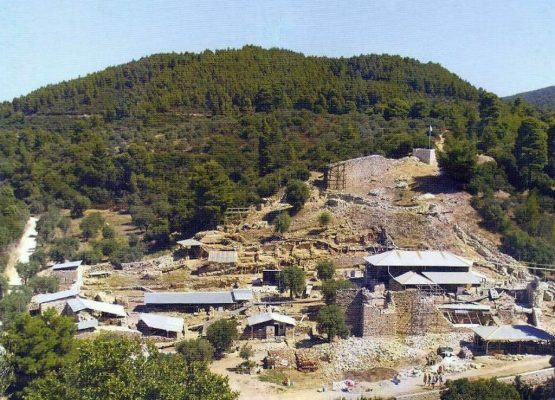 It is an old Athonite monastery that was founded in the early 10th century and was destroyed just before 1198. 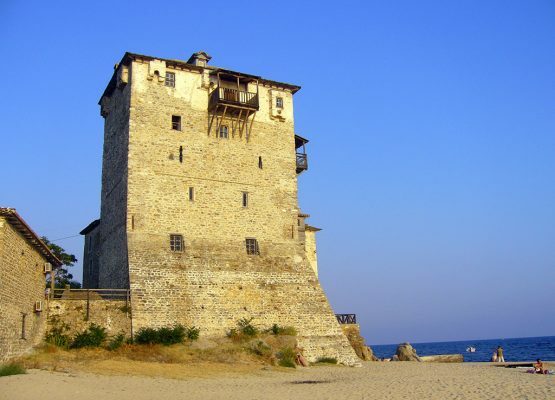 It is located approximately 2km east of Ouranoupoli, just outside the limits of Mount Athos. In May 1379, the “despot” (King) of Thessaloniki, loannis Palaeologos, was hosted at the tower and during his stay there granted it exemption from taxes.